The new site will eventually become Arctic Alaska's westernmost, replacing a nearby site that just went into production. Less than two weeks after production started from Arctic Alaska’s westernmost oil field, the U.S. federal government has granted approval for construction of another drill site still farther west. The U.S. Bureau of Land Management on Monday and the U.S. Army Corps of Engineers on Oct. 14 issued a record of decision approving ConocoPhillips Alaska Inc.’s plan for development of its Greater Mooses Tooth 2 project, or GMT2, in the National Petroleum Reserve in Alaska. That record of decision was issued nine days after ConocoPhillips started production at its Greater Mooses Tooth 1 site, or GMT1. The project cost $750 million to develop and production is expected to peak at Production is expected to peak at 25,000 to 30,000 barrels of oil, according to the company. Last winter’s six-well exploration program, the busiest for the company in several years, confirmed that western North Slope prospects hold 500 million to 1.1 billion barrels of oil, Marushack said in his presentation. 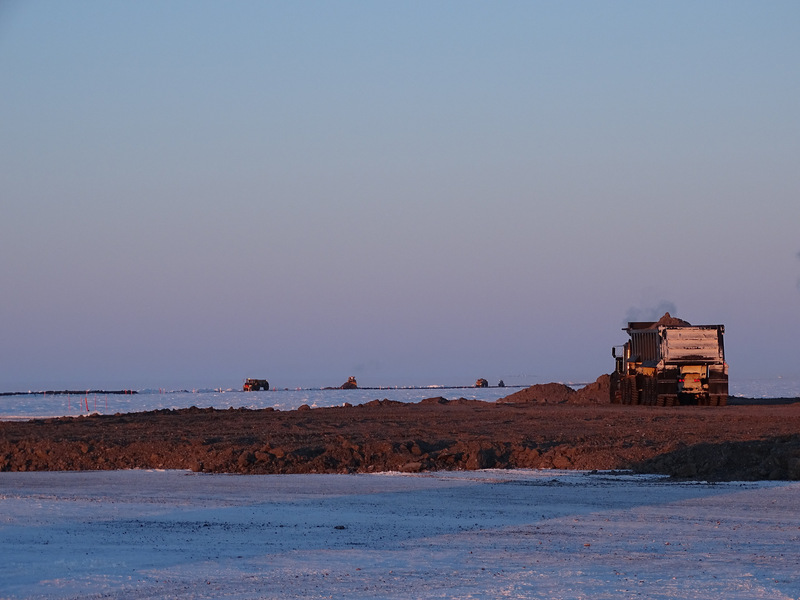 The coming winter’s exploration program, also focused on the western side of the North Slope, will be even bigger, with six to eight wells planned, he said. Not everyone was happy with the latest step in the westward expansion of Arctic Alaska oil development. “Opening the country’s largest roadless area to industrial oil development is a huge step in the wrong direction. The Greater Moose’s Tooth 2 project will be a disaster for the bears, caribou and other wildlife that live in Alaska’s wilderness. The Trump administration is recklessly pushing projects that will doom future generations to climate chaos,” Kristen Monsell, oceans program legal director for the Center for Biological Diversity, said in a statement.